The rest of this summer is a busy one for me, and it is chock-full of SharePoint presentation events. In this blog post, I discuss my upcoming SharePoint Saturday event schedule as well as a webcast I’ll be delivering in the middle of August. I just finished writing the conclusion for the SharePoint 2010 Disaster Recovery Guide, so it’s safe to say that the marathon writing and revising sessions are nearing an end. Book writing is one of those things that most people don’t do, so it’s hard to describe the feeling that comes when you truly internalize the realization that the light at the end of the tunnel isn’t another oncoming train. To me, it means that I may once again have some free time to spend time with my family, play videogames, take care of some much-needed home network maintenance, and actually work on some cool SharePoint projects. The first stop on my tour is the Big Apple. SharePoint Saturday New York will be held on Saturday, July 31st, at the Microsoft office in Manhattan. The event “sold-out” in almost no time at all, and it is currently wait-listed about 80 people deep based on what I saw from some recent tweets on Twitter. The event is scheduled with a whopping nine concurrent tracks, so there will be plenty of SharePoint goodness for everyone in attendance. I’ll be presenting on SharePoint disaster recovery for both SharePoint 2007 and SharePoint 2010 with “Saving SharePoint,” so stop in to see me if you want to talk about DR! Since Idera is sponsoring the event, I’ll also be in and around the Idera booth answering questions, showing off our backup tools, and hopefully meeting some of the local SharePoint community. It should be a lot of fun! “’Caching-In for SharePoint Performance” is a relatively new session that I put together a while ago based on a lot of the experience I gained while consulting for a “particular” client, and it dives into the platform caching mechanisms that are built into SharePoint. The abstract sums it up pretty well. Quite a few folks from Idera will be present at the event, and since we’re a sponsor, we’ll have a booth. In between sessions, I’m sure I’ll be milling around in and around the booth if I’m not in another session. 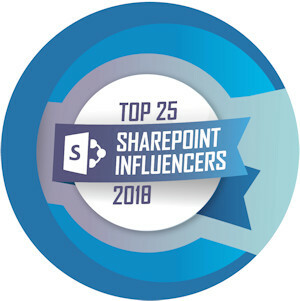 I’m particularly excited about the Denver event because it represents a chance to interact with a portion of the SharePoint community I don’t see or talk to very often. The folks putting on the event are a top-notch group in my mind, and many of the speakers are folks I’ve wanted to meet for some time. The SharePoint Saturday tour concludes for a while (for me, anyway) with SharePoint Saturday Columbus on August 14th, 2010, in Columbus, Ohio. This particular SharePoint Saturday is special to me because I’m a member of the committee that is currently working to put the event together. We have some fantastic sessions lined up, and I’ll be delivering “Saving SharePoint” in one of the IT pro session slots throughout the day. For those of you who are in and around the Cincinnati, Columbus, and Cleveland areas, I hope you’ll show up for a great day of SharePoint sessions and community connection building! You can sign up for the event with this Eventbrite link. Idera is a sponsor for the event and will have a booth. I’m sure I’ll be in and around the booth, but being both a speaker and an organizer means that I’ll probably be doing quite a bit of extra running around, too. The Wednesday after SharePoint Saturday Columbus (August 18th), I’ll be delivering a webcast for Idera as part of their Secrets of SharePoint series. Idera regularly seeks the help of SharePoint community members to give webcasts, and John Ferringer and I actually delivered one of these titled “SharePoint Disaster Recovery Essential Guidelines” back in 2009. SharePoint 2010 is here, and many organizations are hard at work building their implementation roadmap. Some organizations are starting fresh with SharePoint 2010 while many others are contemplating a migration strategy from SharePoint 2007. Regardless of how an organization arrives at SharePoint 2010, disaster recovery planning for their SharePoint environment is something that must be included to ensure the protection of their data and the continuity of business operations. Microsoft made significant enhancements to the disaster recovery landscape with SharePoint 2010, and in this webcast we’ll be taking a good look at many of those of new features. 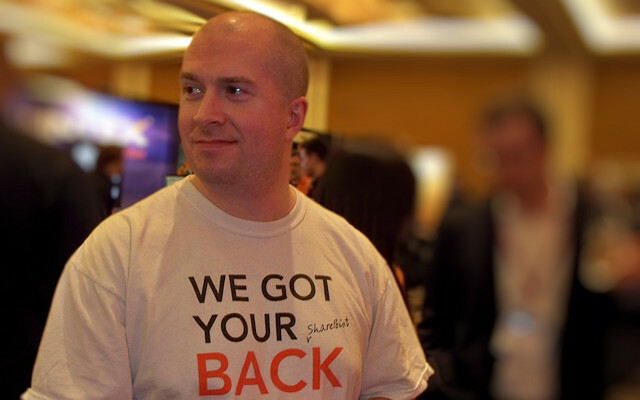 We’ll dive inside enhancements to the existing backup and restore capabilities that were present in the SharePoint 2007 platform to see what has changed and been enhanced. We’ll also look at many of the exciting new capabilities that have been integrated into the SharePoint 2010 platform, such as unattended content database recoveries, SQL Server snapshot integration, and configuration-only backup and restore. By the time we’re done, you will possess a solid understanding of how the disaster recovery landscape has changed for the better with SharePoint 2010. If you’re free at 1pm EDT (12pm CDT) on August 18th, I encourage you to sign up and listen. Just like the SharePoint Saturday events, there is no charge to attend the webcast. Just sign up and you’re ready to go! After that, I’ll be cooling my jets for a while and taking a much-needed break to remind my kids of what their father looks like. There are many backlogged blog posts I’ve been planning to write, though, so hopefully I’ll be able to start sharing more soon! Webcast: SharePoint 2010 and Your DR Plan: New Capabilities, New Possibilities!